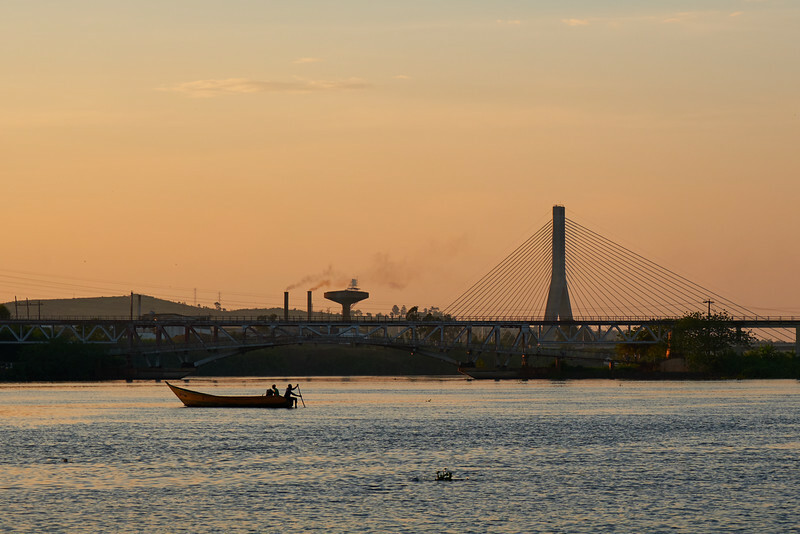 Fishing boats setting out at dusk on the Nile River near Jinja, with the new Source of the Nile Bridge in the background. 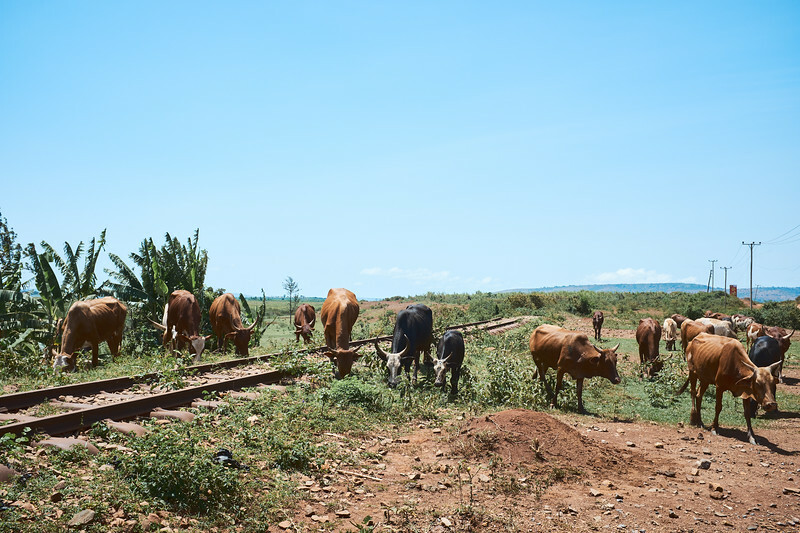 Cattle grazing near one of the nearly-abandoned railroad tracks connecting factories along the shores of Lake Victoria. 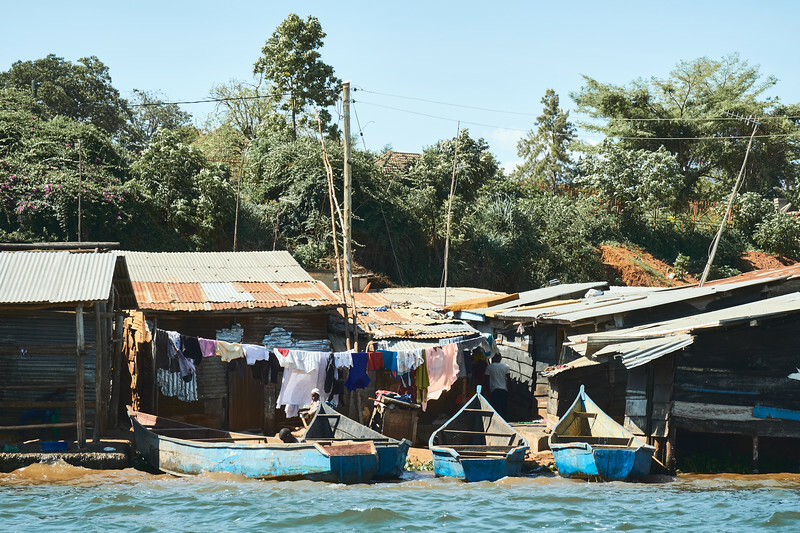 One of the many small fishing villages on the shores of Lake Victoria near Jinja, Uganda. 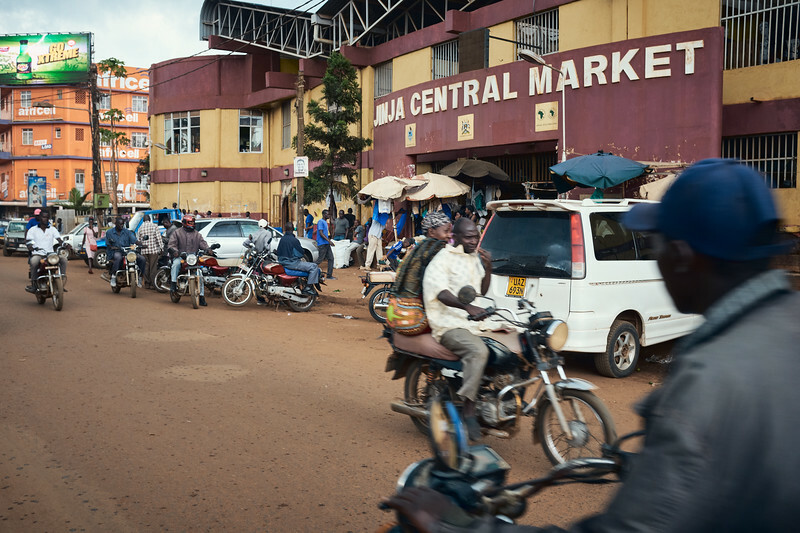 Bodas (motorcycle taxis) in front of the Jinja Central Market. Law requires all drivers to be licensed, carry only one passenger, and provide helmets, but the financial situation of many drivers means that often all three of those rules are ignored at once. 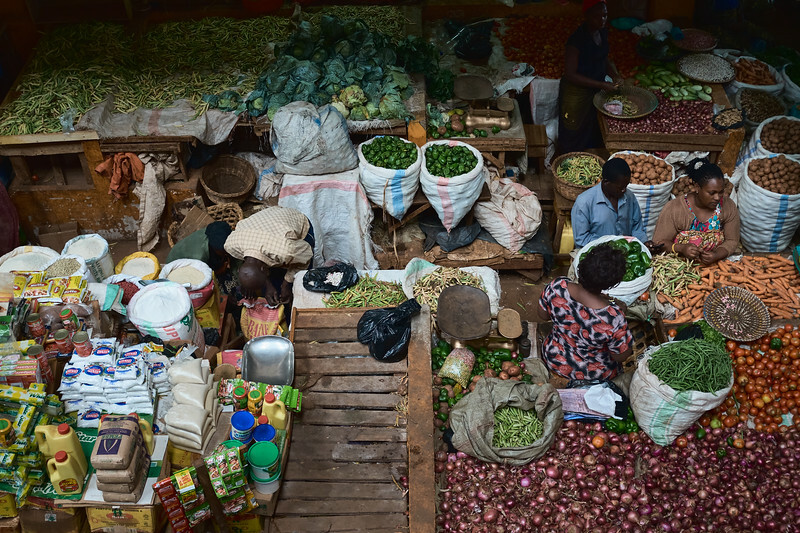 The many colors and patterns of Jinja Central Market. Villages and markets go right up to the railroad tracks. The railroad doesn't play nearly as large a role today as it used to. 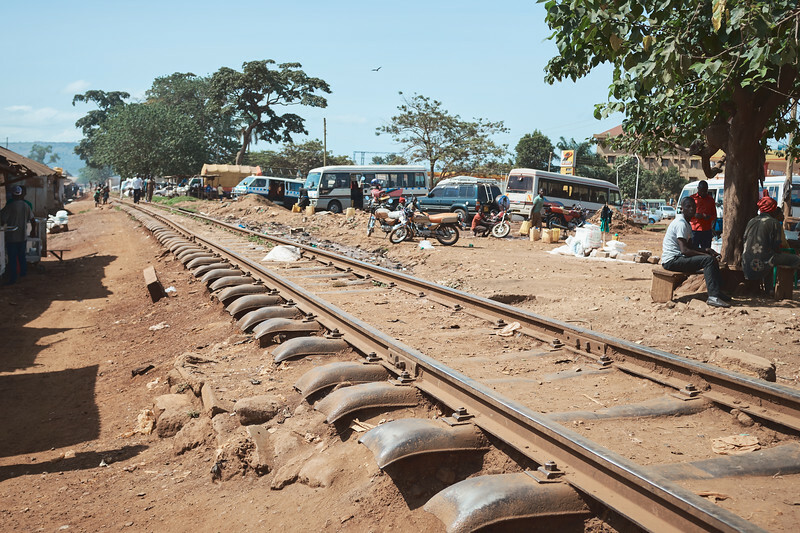 As the economy declined in Walukuba, many of the lines of transportation fell into disrepair. You would hardly know that a railroad track was here if it weren't for the foot traffic keeping vegetation from covering it. 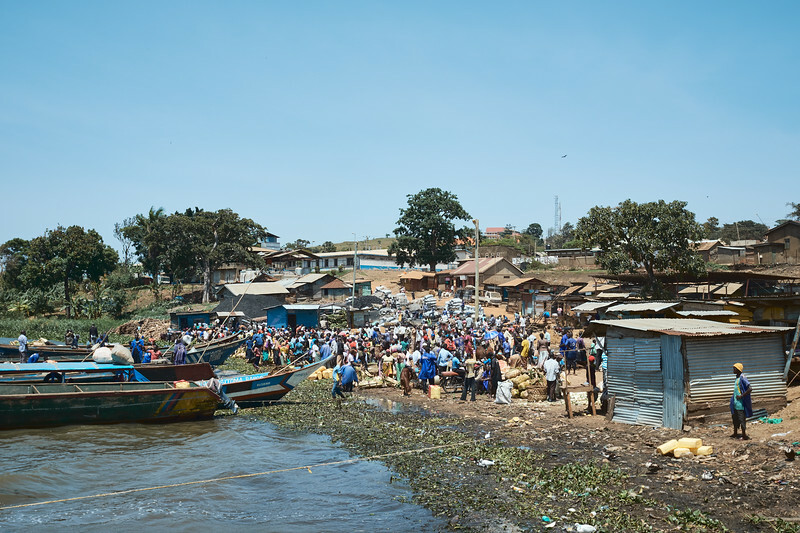 Traders from nearby islands arrive at Masese Port on market day to trade goods. 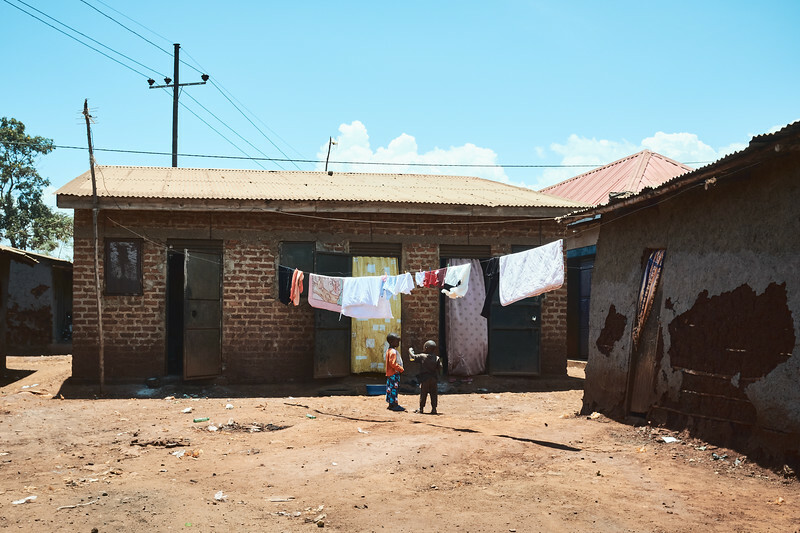 One of the neighborhoods in Walukuba. The yellow jugs - old oil jugs - are used to carry water. 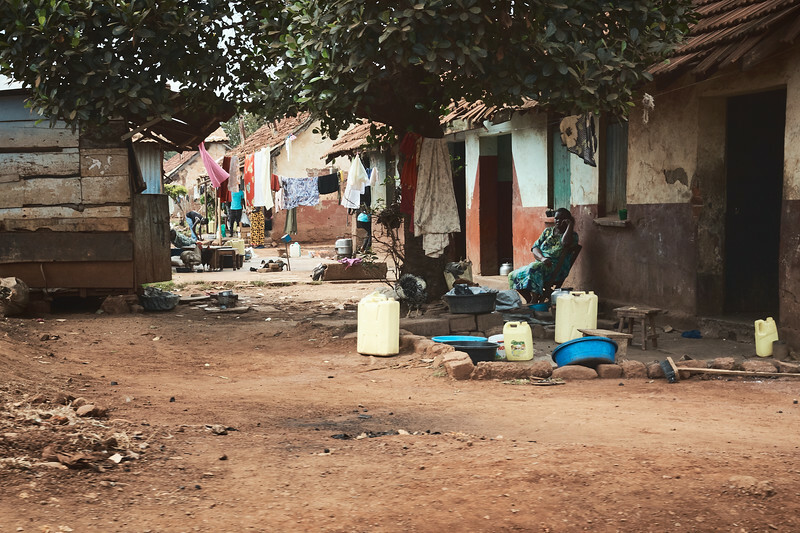 Most houses don't have running water so they need to purchase water at nearby spiogots, where they can spend as much as a quarter of their daily earnings on water. 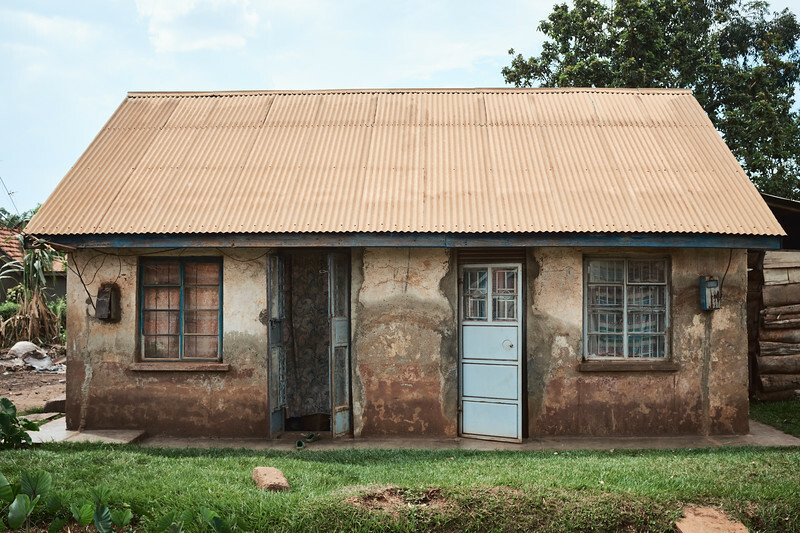 This cottage is typical of the ones constructed for factory workers in the mid-20th century. It was a prosperous time for Walukuba. 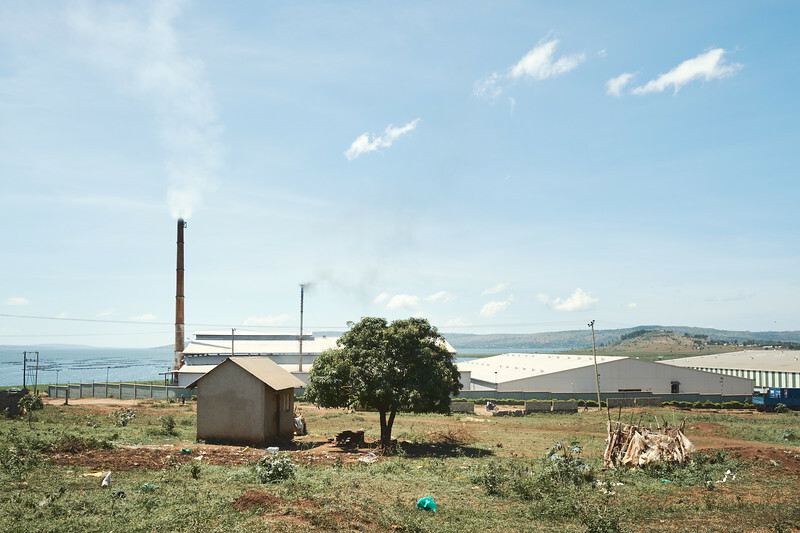 Families continued to live here after Idi Amin shut down the factories in the 1970s because they had nowhere else to go, but jobs were gone. Economic recovery has been extremely slow and is ongoing. A family of six lives in the small house. The single mother used to sell vegetables from her farm behind the house; the farm recently stopped producing after the factories were completed. She now breaks rocks at a quarry and works at a fishery to try to send her children to school while also being able to afford food and rent. 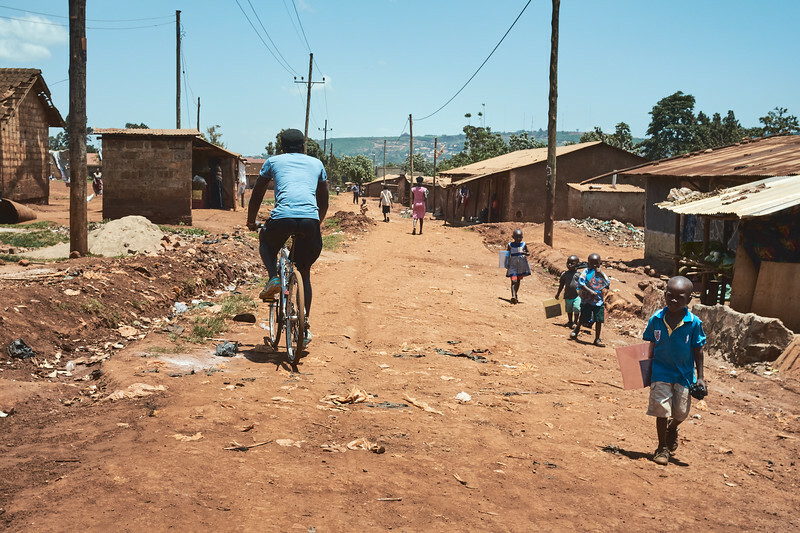 Soweto, the poorest neighborhood in Walukuba. Water is difficult to come by and many children drink from questionable water sources, like these boys looking at a bottle they just found. 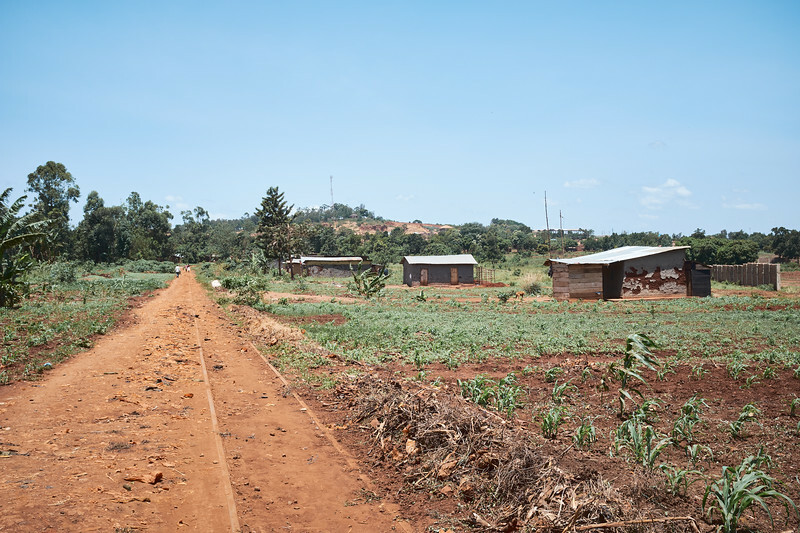 Typical street in Walukuba as children walk home from school. 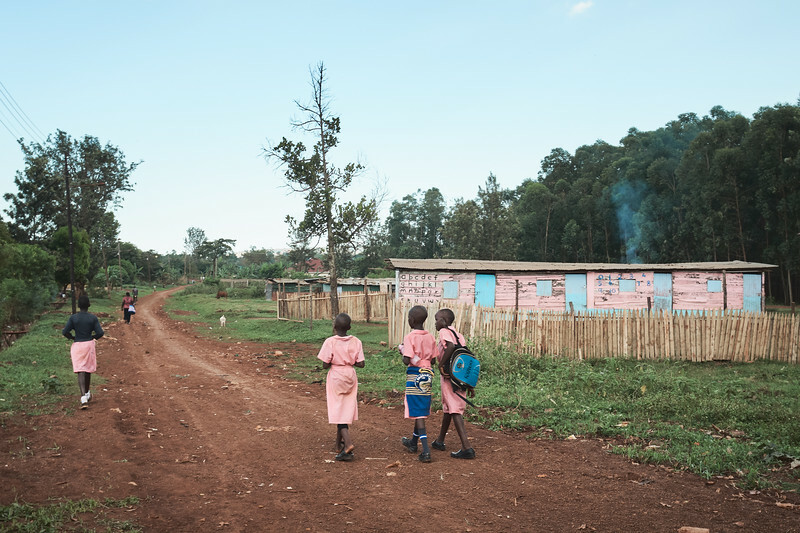 Children walking past a nursery school in Walukuba, Uganda, on one of the village's main roads. 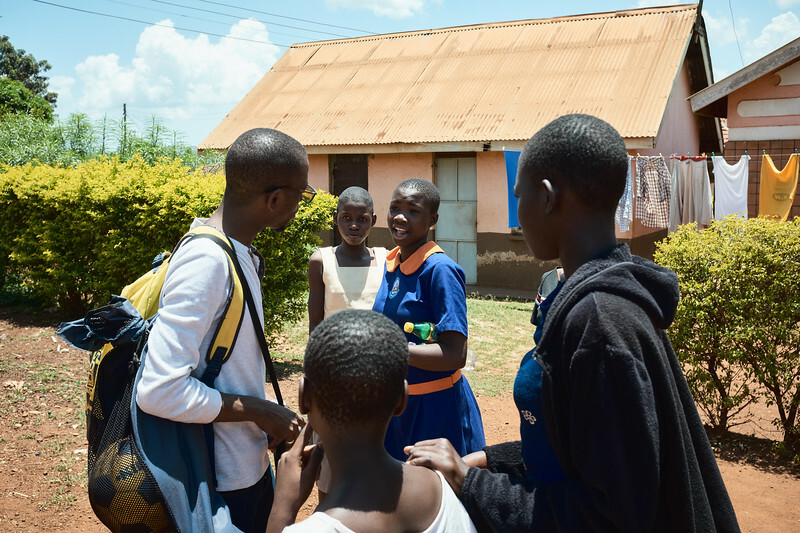 Kenneth, co-founder of X-SUBA, chats with some girls that participate in his sports programs as he walks through the streets of Walukuba. Kids yell "coach, coach!" everywhere he goes, wanting to share with him what is going on in their lives. 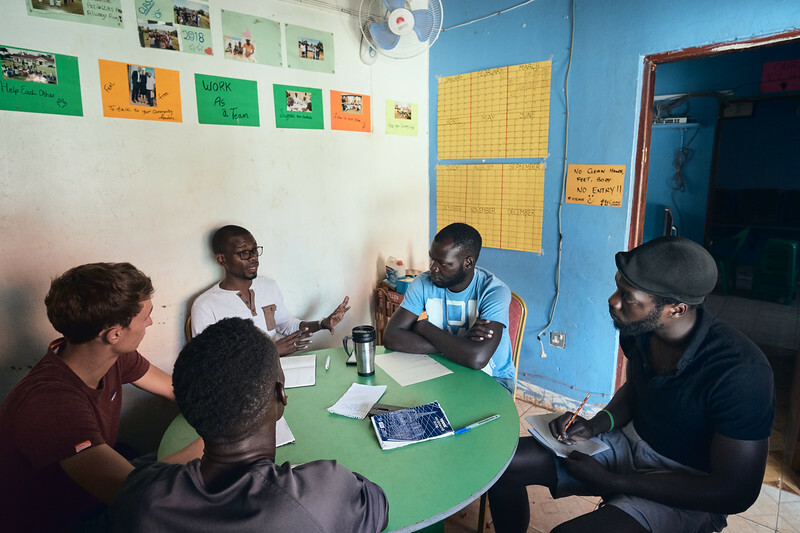 X-SUBA coaches and staff, all volunteers, meet a couple times a week to discuss progress of current programs, finances, and upcoming projects. They're an incredibly tight group of people and work extremely well together. X-SUBA staff meet weekly to discuss the progress of current programs, finances, upcoming projects, and issues with students. 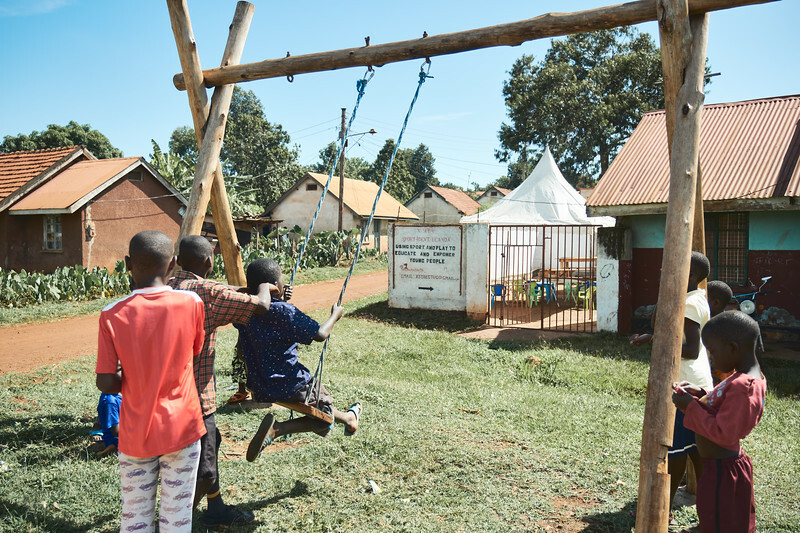 Children playing on a swing during a break at X-SUBA's Learning Center. The swing was a gift and constructed by one of the European volunteers who visit X-SUBA. Jay Jay leading an exercise session during a break at the X-SUBA Learning Center. 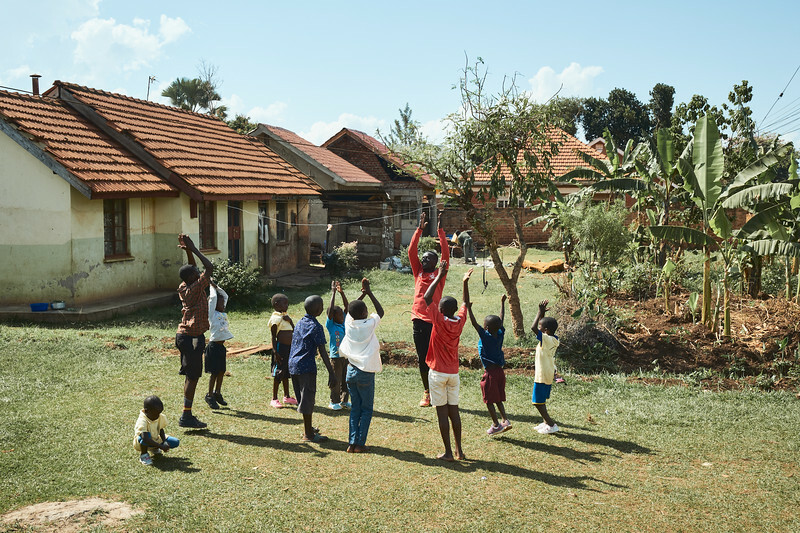 The Learning Center is primarily for teaching Critical Thinking, English, and Math three days a week, but they incorporate a play and exercise session as well. This helps facilitate learning and promotes healthy habits. X-SUBA hopes to have a more permanent structure to hold the Learning Center. As it is right now, they erect a canopy every morning to keep the hot equatorial sun off of the children. 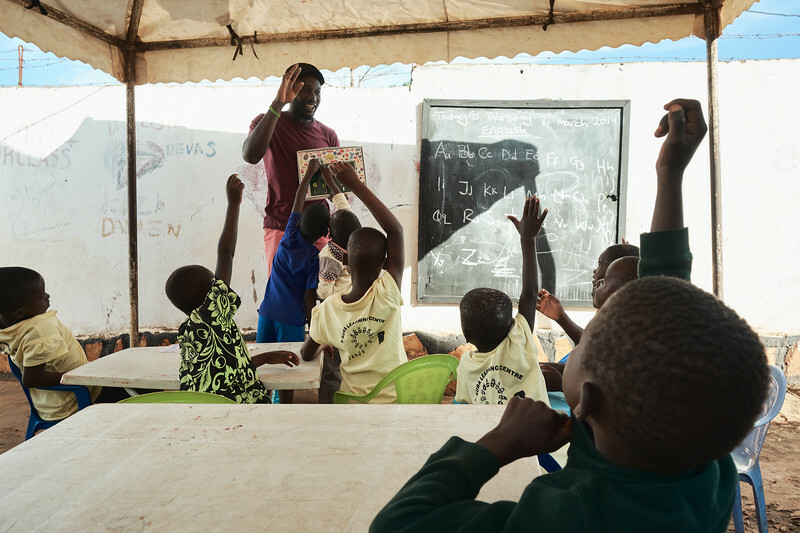 Simon, a volunteer, teaching the alphabet to children at the X-SUBA Learning Center. They hold classes three days a week (English, Math, and Critical Thinking) during the morning hours. 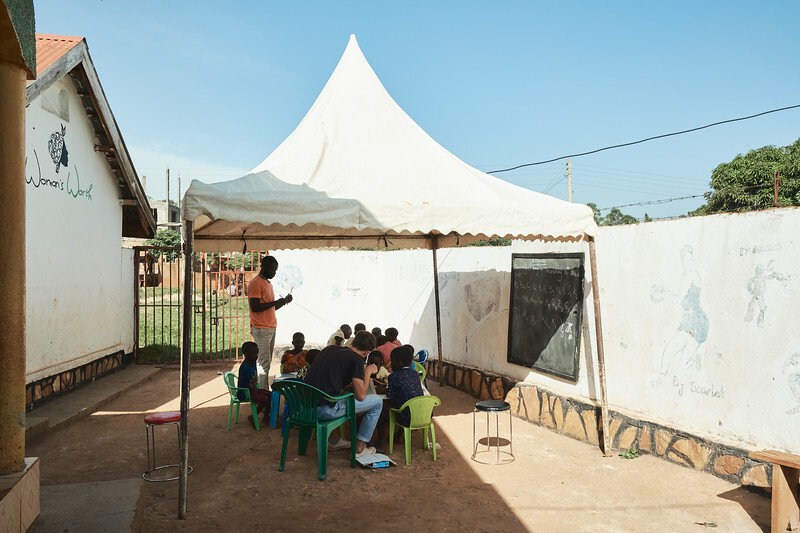 These classes are designed to keep the children in an educational environment until they can find tuition to attend primary school. 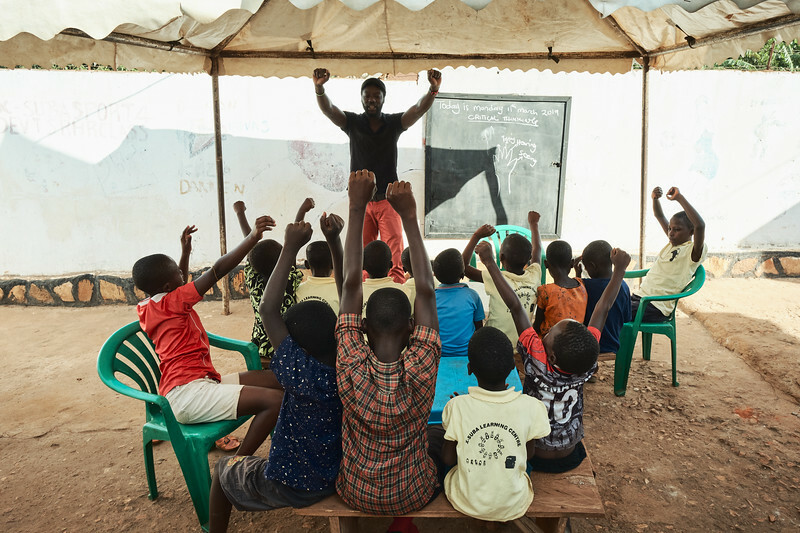 Simon leads a critical thinking session at X-SUBA's Learning Center. Critical Thinking is one of three subjects taught at the Learning Center, in addition to math and English, and is the only subject not taught in primary school. 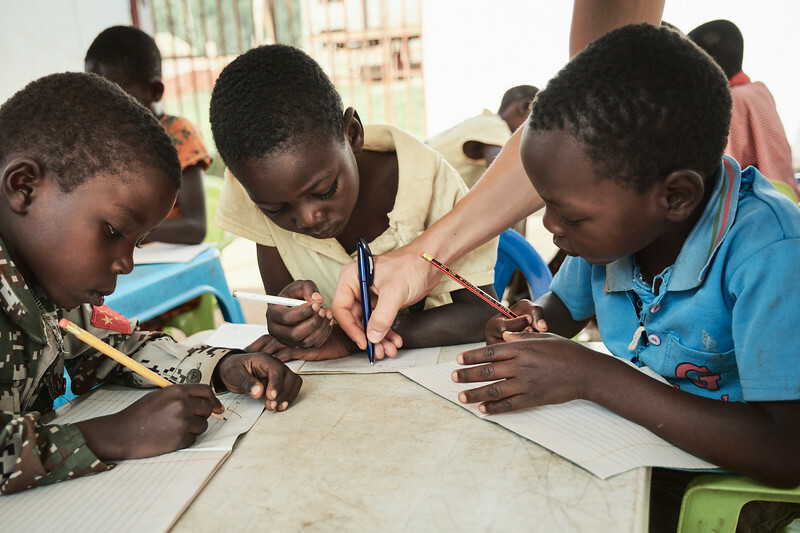 Children at X-SUBA's Learning Center work on their alphabet during English class. English is taught once a week to students whose parents can't afford to send them to school. Math and Critical Thinking are taught on two other days of the week. The children are only allowed to stay at the Learning Center for one year so as to not overwhelm the volunteers. They use this time to teach the parents about budgeting and look for sponsors to send the kids to primary school. 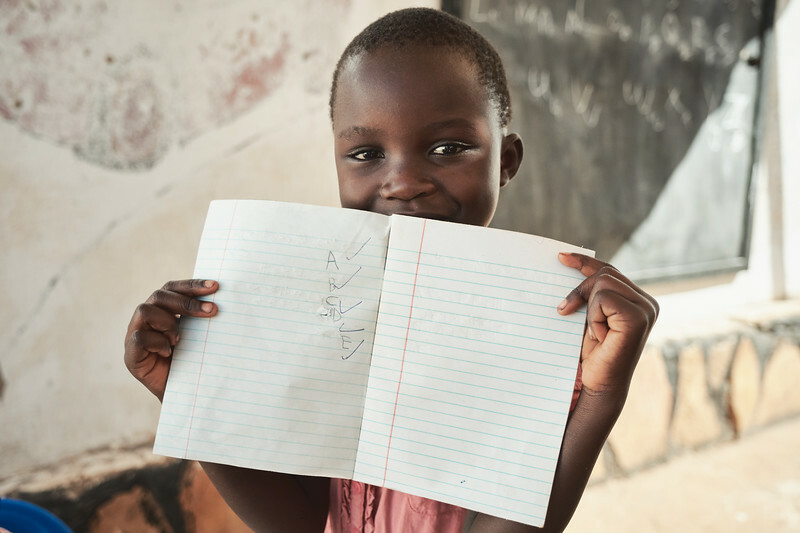 A young student showing off her progress with the alphabet at X-SUBA's Learning Center. 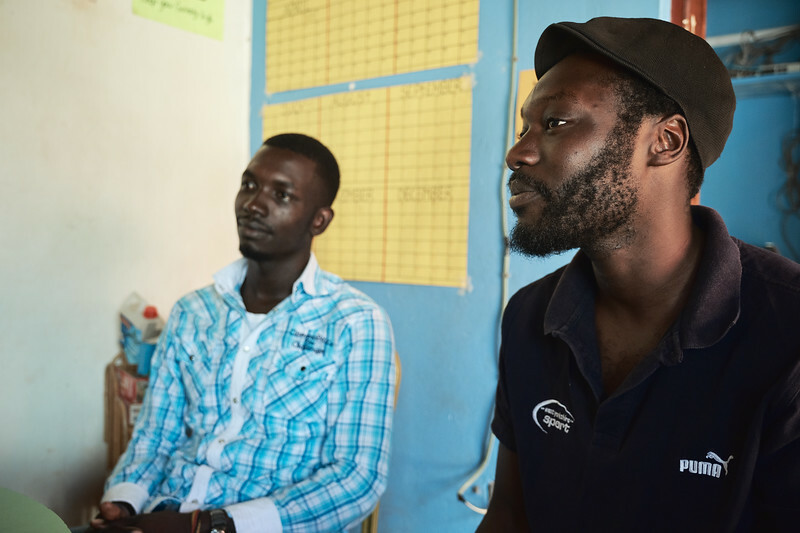 English is taught once a week to students whose parents can't afford to send them to school. Math and Critical Thinking are taught on two other days of the week. The children are only allowed to stay at the Learning Center for one year so as to not overwhelm the volunteers. They use this time to teach the parents about budgeting and look for sponsors to send the kids to primary school.